Go on a poolside escapade in the intimate surroundings of BARE Pool Lounge. 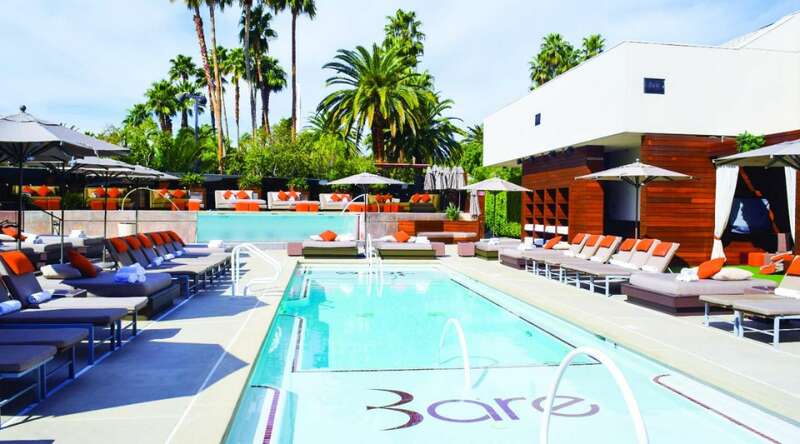 Set in the seclusion of the Strip’s favorite backyard, this adults-only playground features full-service bar, poolside menu, live DJ’s spinning and the hottest staff in Las Vegas. *Not valid on Memorial Day or Labor Day weekends. Bare also is available for private events seven nights a week beginning at 7:00 PM for groups of up to 450 people. Whether it's a cocktail reception or dinner soiree, Bare is sure to help heat up the night as the desert sun sets. 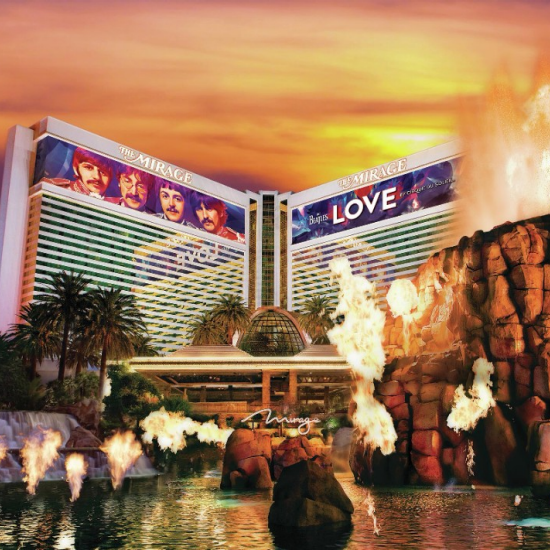 This unique venue is the perfect backdrop for those wanting to relax and socialize, or witness a perfect Las Vegas sunset transition into a canopy of glittering stars. Events take on a dramatic flair when set among two luxury dipping pools, private cabanas, daybeds and chaise lounges. Combined with the beats of DJ mixed music and a menu of refreshing specialty cocktails, Bare Pool Lounge offers Las Vegas' premier party experience. For corporate events of distinction, Bare Pool Lounge is the ultimate outdoor destination, perfectly suited for all networking, branding and hospitality needs. Bare Pool Lounge Bar Packages and Catering Menus are available upon request. Bare Pool Lounge can be accessed through Retail Promenade.